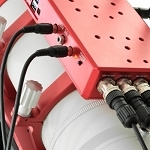 The power of a cooled CCD camera combined with the ease of use of a DSLR one, all in a single product that allows you to record stunning images of deep sky (but also of the planets and the Moon!). Perfectly usable even without an external computer! Our D5600a Cooled, based on the Nikon D5600, is the perfect solution for those fan people who want to record great pictures without too many complications! Cooling system with Peltier cell that dramatically reduces the camera noise during long exposure sessions; front sensor filter modified for astronomy for higher sensitivity especially in the wavelengths of the red and then the very important H-alpha line front filter; anti-dewing system and use without battery (power supplied with cable plugged to the cooling system). The large touchscreen display together with the cooling system control electronics that is directly operated by the touch keys located on the camera, make it easy to use and 100% functional even without using an external computer. 4 YEARS WARRANTY ON CAMERA BODY. D5600a Cooled camera, DX color sensor 23.5 x 15.6 mm, modified front filter, double Peltier cell cooling system, down to -27°C in respect to external temperature, internal anti-dewing system, power without battery, integrated shutter control, 3,2" touchscreen display. 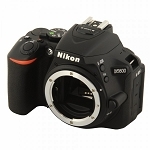 Based on the Nikon D5600 model, our D5600a Cooled camera combines the power of the CCD camera with the convenience of DSLR to offer, in a single product, a great instrument to take great pictures of the Universe, even without using an external computer! 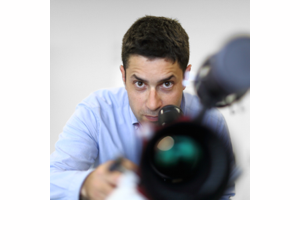 Technical comment by Filippo: "There is no doubt that the cooled CCD cameras specially designed for astronomy have higher performances compared to a DSLR, although cooled and improved as our D5600a Cooled. 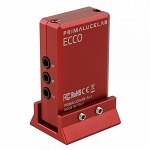 This color camera is perfect for people looking for an instrument with large sensor and with a greater ease of use. Moreover, unlike almost all CCD cameras for astronomy, it allows you to record amazing pictures even without the need for an external PC to control it." Astrophotography of deep-sky objects such as galaxies, nebulae and star clusters requires long exposire times, usually several minutes. When we use a non-cooled camera for this application, you may notice a strong electronic noise that ruins the poses not allowing us to record and clearly see the weaker details. 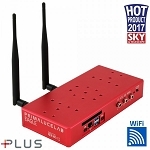 To solve this problem our D5600a Cooled uses a cooling system with double Peltier cell thet is able to lower and keep constant the sensor temperature, up to -27°C with respect to ambient temperature! Positioned rear to the camera to maintain a good weights balance, the cooling system has a display that shows the current temperature of the sensor, the temperature we want to achieve, the relative speed of the cooling fan (which does not introduce vibrations) and the intensity of the anti-dewing system for the front filter. Special touch buttons allow you to adjust all the parameters to set the camera as you prefer. Temperature regulation is absolute then the sensor will work at the same temperature all night letting you record (if you want) the dark frames when you prefer! Sensor cooling requires attention as it can lead to front filter dewing. 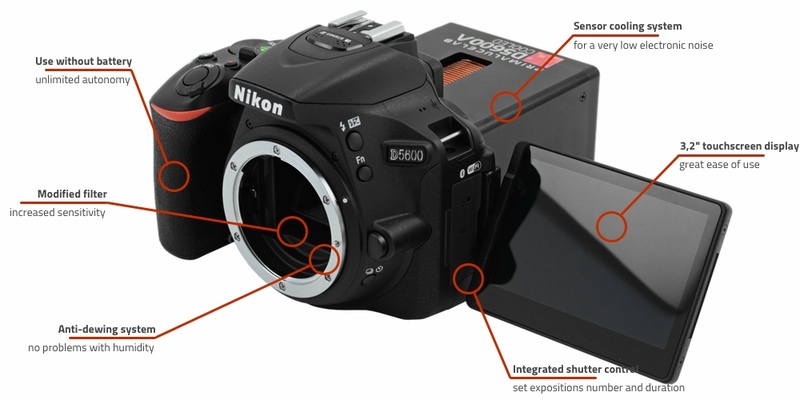 For this reason our D5600a Cooled uses a special anti-dewing system that only heats the front filter (and not the sensor!) allowing you to avoid this annoying problem. The anti-dewing system can be controlled and adjusted using the same keys that regulate the cooling system. It's possible to adjust the power of the heating with 5 levels to best suit the humidity conditions (1 = minimal heating; 5 = maximum heating). 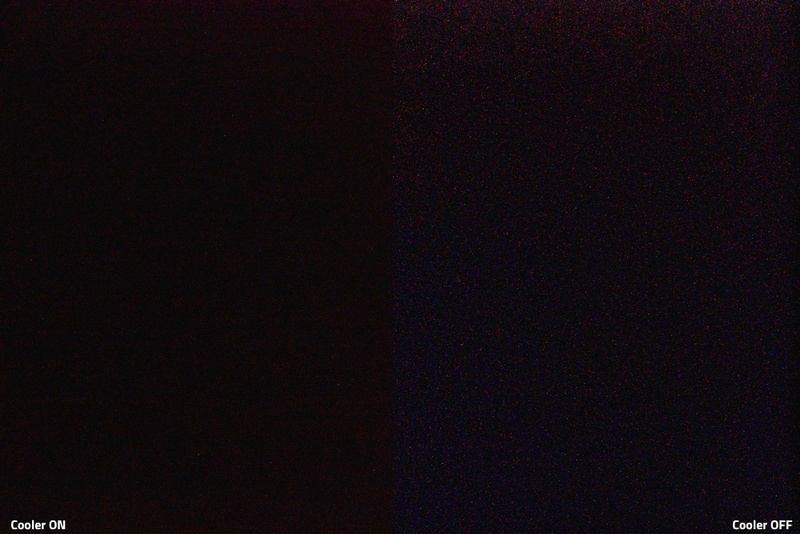 Dark frame comparison recorded (@6400ISO) with cooling system powered ON (left, sensor temperature -2°C) and OFF (right, sensor temperature 20°C). Our D5600a Cooled camera replaces the original filter with a model designed specifically for astrophotography increasing the camera sensitivity and allowing you to take brighter pictures. One of the limitations of the use of DSLR cameras in astrophotography is the battery life. When working at low temperatures the efficiency of the rechargeable batteries drops significantly and it's not unlikely to run out of power in the middle of a pose! 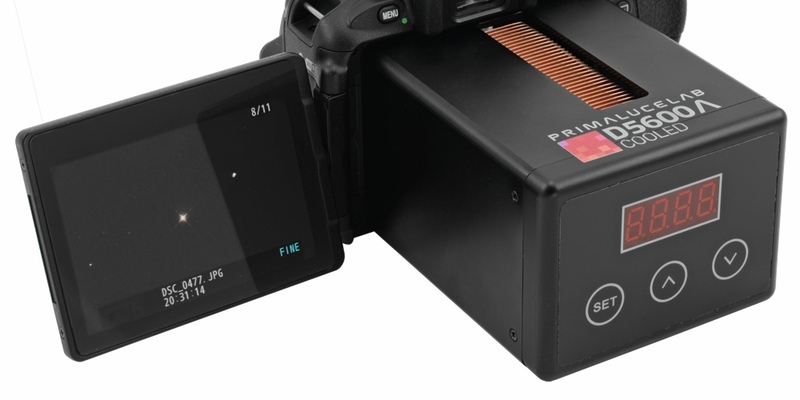 For this reason our D5600a Cooled camera presents, at the bottom, close to the 12V power port that power up the cooling and anti-dewing systems, there's a 9V power output. You just connect to this socket the supplied power adapter and insert the other side in the battery compartment of the DSLR. In this way, the single 12V power supply (3 amps) power up both the camera and the cooling system: now you can be sure you can take astrophotographs all night! 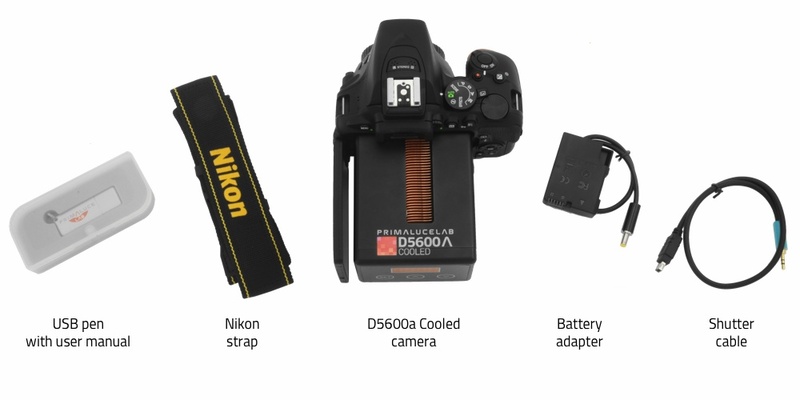 Caution: for operation, the D5600a Cooled camera requires a 12V 3A power supply not included in the package. If you use the camera without a control PC, now you no longer need either manual or timer shutter controller to record your best pictures! In fact we integrate (in the same electronics that control the cooling system) also the shutter control. This way you can set, using the rear buttons, the number of pictures to be recorded and their exposition time. 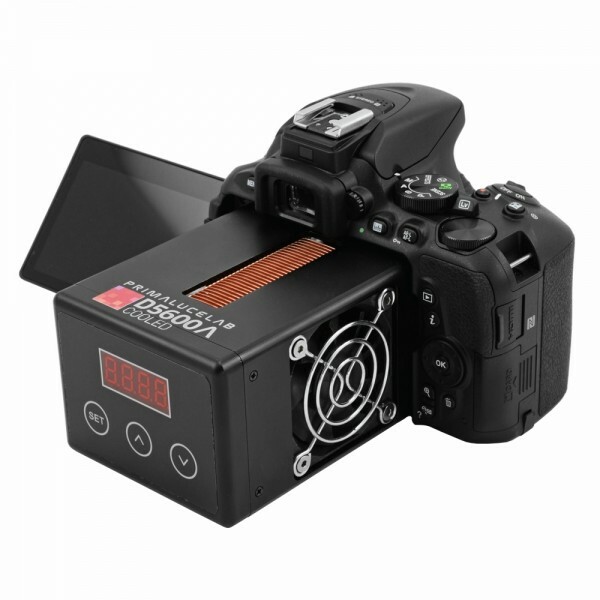 You can also define the time the camera wait before starting the exposure and the time separating each exposure. You can also set automatic recording of 2 sets of exposures with different exposition times: for example you can set the camera to record 20 images with 300 seconds exposition + 10 images with 900 seconds exposition. Image capture can be stopped at any time by pressing any button of rear electronics. 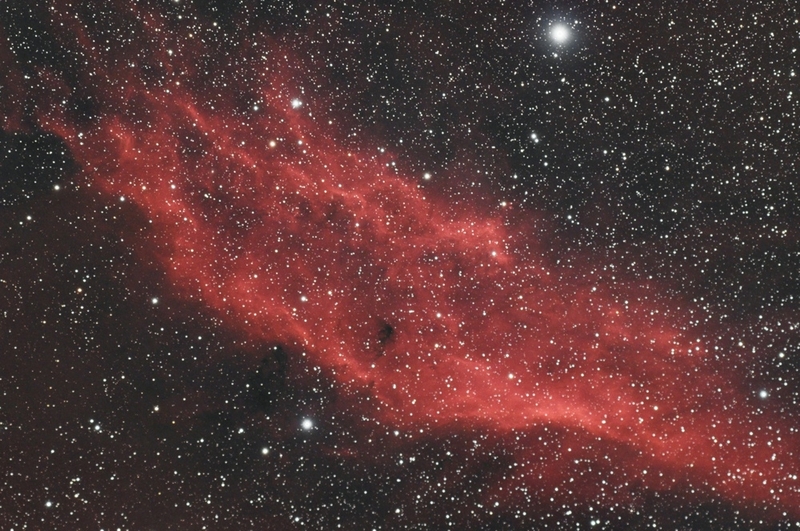 California nebula (NGC1499) recorded by Filippo Bradaschia with D5500a Cooled and AIRY ED100 apochromatic refractor.